In the first days of sales, the streets of Bordeaux swarm with onlookers eager for bargains. Many people braved the cold to shop and enjoy discounts. For traders, the situation is not yet good. Despite a promising start to sales, they are again worried on the eve of the next Saturday mobilization of "yellow vests". "We have already lost 50,000 euros of our sales. Normally, the first Saturday of the sales is the day we make our biggest number of the year. But in the face of the last Saturdays and especially the violence that marked the demonstrations, what will it really be? " regrets Colas Michard, owner of the Michard-Ardillier boutique. This institution of footwear has been a family business since 1978. 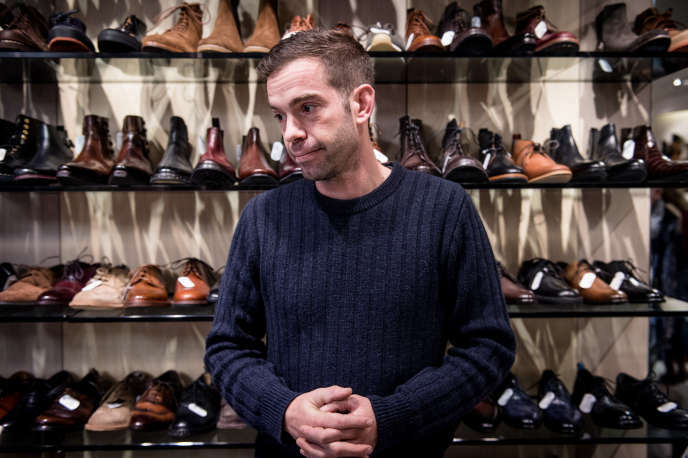 The 37-year-old son bought the shop from his father at the end of 2017. Since then, he has been trying to stay the course. During the last events, it closed the time that the procession passes, while exfiltring the customers by the shopping mall located at the back of the store. But here it is too much. "So far, thanks to our cash, we have absorbed the shock. But until when ? " Saturday, January 12, he will juggle with staff schedules to try to cover his expenses. "I changed the schedule for my employees to start earlier and finish at 6pm. Because I know that I will close sooner, " he despairs. Dozens of customers have been calling since Wednesday to make sure the store will be open on Sunday. A few blocks away, Claire is busy to highlight its latest promotions. Its Serendipity, "cabinet of conviviality", is nestled between the Alsace-Lorraine course and the Victor-Hugo course. A beautiful red front, concocted with care, located in the middle of scenes of violence of the last Saturdays. Opened in 2017, she tries to keep her business afloat. "Basically, this popular movement could serve us, I understand their demands, which I share as an entrepreneur. But the way of doing things is not adapted. " Only to hold her store, she experienced some fright seeing protesters running in the neighborhood, eyes reddened: "I can not afford to close, but honestly, on Saturday, I come to work with apprehension. " Who says small business, says low cash. "I put my orders with tweezers, for fear of not being able to manage my funds. The global climate is already anxiety-provoking, it is not easy to work in these conditions »regrets this passionate young woman.